Brand Knew was approached by a group of leading entertainment executives in search of a digital partner to help launch a campaign that would bridge the civilian-military divide. Much of this mission was rooted in defeating prevailing perceptions of veterans as either heroes or damaged goods. 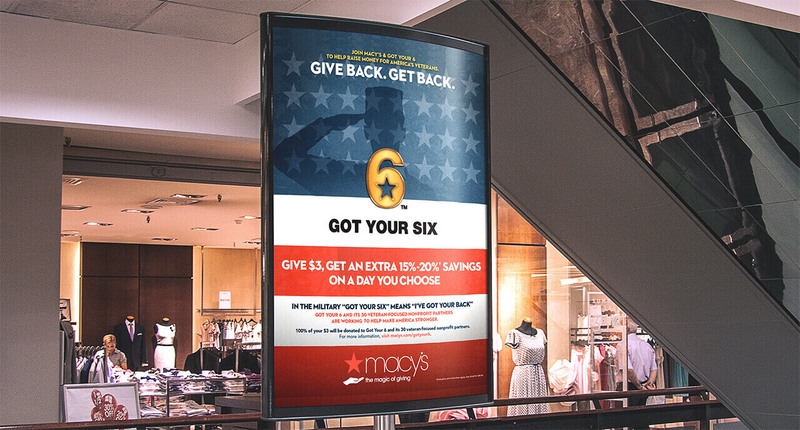 As the creative and digital backbone of the organization, Brand Knew developed and organized a campaign narrative, established a go-to-market strategy, and helped to create a sustained shift in discussion of veteran value. Simple presentation of a complex issue. Serving as a founding steering committee member of the campaign, Brand Knew gathered and corralled massive amounts of data and media that needed to be presented to the general public in a simple, palatable format. Through the Clinton Global Initiative, measurable goals were set across six pillars of concentration: Jobs, Education, Health, Housing, Family and Leadership. Now in its second version, Brand Knew constructed the Got Your 6 website to present important media, to clearly explain the campaign’s mission, to provide means of getting involved with the initiative, and to generally funnel consumers towards education and contributions. 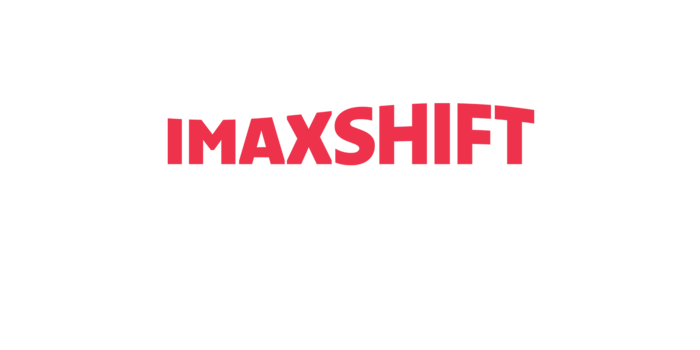 As creative agency of record, Brand Knew developed a comprehensive social strategy, while controlling media budgets and purchasing, and implementing a search engine optimization program. As the social liaison with all of the entertainment partners, government agencies, non-profit organizations and sponsors, Brand Knew funneled dozens of opinions amongst stakeholders to deliver streamlined messaging, wrangle participation and optimize distribution. 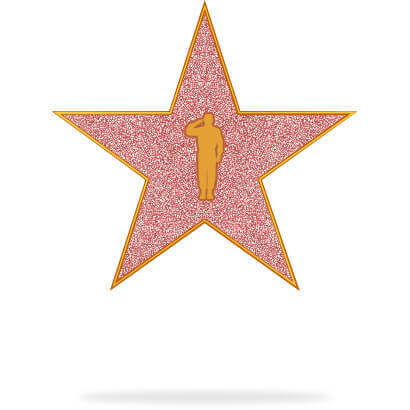 Associated organizations include ABC, A&E, FOX, CAA, CBS, Dreamworks, HBO, NBCU, ICM, Paramount, Sony, UTA, Warner Bros., WME, American Red Cross, Give An Hour, Goodwill, Habitat for Humanity, Sierra Club, Pat Tillman Foundation, Teach for America, USO, Blue Star Families, US Department of Defense, US Department of Veteran Affairs, US Department of Labor, Macy’s, American Express and Starbucks. 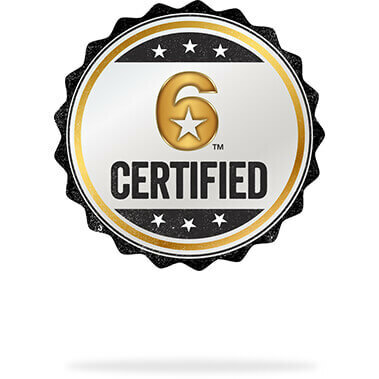 In its first three years of operation, Got Your 6 granted over $4.2m to non-profit partners, facilitated over 6.8m service hours performed by veterans, helped to house over 31k chronically homeless veterans, and catalyzed over 585,000 commitments to hire veterans and military spouses. The campaign focuses on several programs to help educate, inspire and catalyze. Brand Knew develops sub-brand identities, communication principles and logos for each of these initiatives. 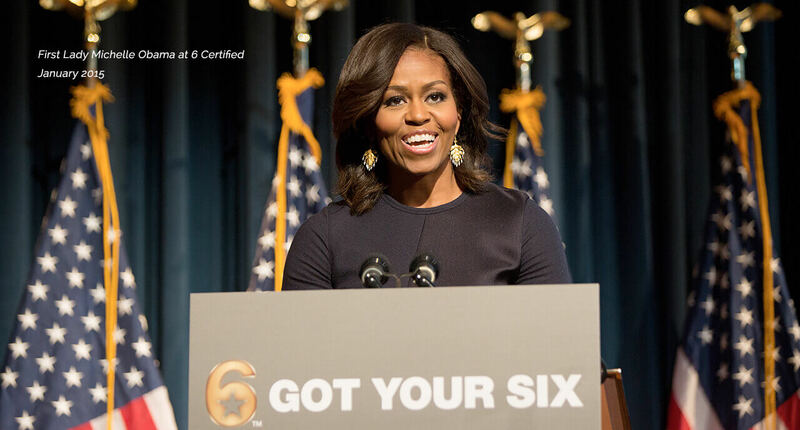 The ‘6 Certified’ program with First Lady Michelle Obama recognizes film and television projects that accurately portray veterans across entertainment. 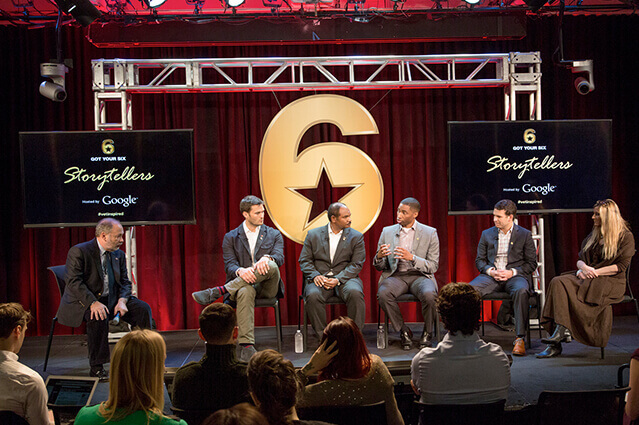 Storytellers showcases the exemplary talents and ideas of some of the country’s brightest and most groundbreaking military veterans. In an effort to foster understanding between veterans and civilian communities, Got Your 6 provides data-informed analysis on the perceptions, strengths, and opportunities of veterans through a variety of infographs, designed by Brand Knew. In 2016, Brand Knew helped drive Got Your 6 to win the Social Good Award for Best Awareness Campaign.